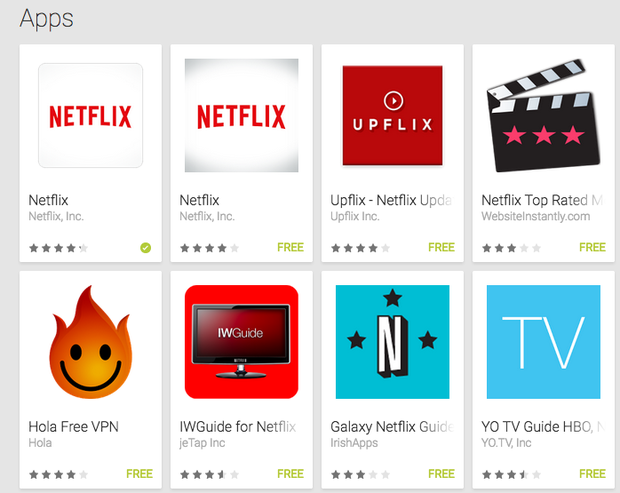 It seems like Google never stops fixing up the Play Store—and that’s a good thing! It means the company is always working to perfect the marketplace where we procure apps, games, books, movies, and more. But it still feels like there are a few key features Google continues to oversee. Here’s a wish list of the fixes we want Google to implement immediately. There are two Netflix apps in the Google Play Store and it took me forever to realize that one was meant for Android TV. I went looking for the Netflix app the other day and discovered that there were two instances of it: one that’s meant for an Android phone or tablet, and one that’s made for Android TV. It took a bit of Googling and a Twitter conversation before I had figured any of that out, but Google could have saved me the headache if it just had a system in place that prominently stated which platform either application was meant for. This isn't just an issue with Android TV; some apps are made just for tablets, or are meant for your Android Wear watch. Apple’s iTunes Store does a great job of this; it even offers a toggle that lets you choose whether you want to search for apps that are compatible with an iPad, an iPhone, or both. It’d be helpful if Google offered the same utility, considering that it’s only going to get more confusing now that Android is on your TV, in your car, and on your wrist. I would appreciate if Google would alert me when Secrets of Mana eventually goes on sale. The Google Play Store’s wish list feature is fun to come back to on a rainy day—or when a relative slips me a Google Play Store gift card—but I’d appreciate if I got a notification when a pricey app goes on sale. It’s hard enough finding out what’s on sale in the store without digging through pages of apps. I’d rather hear it directly from Google instead of a shady looking, ad-ridden app that scans around for app sales. There are so many applications here, but there’s no way I want to sit and install them all on my device, one-by-one. When I set up a new review device, I often have to go through and install apps, one-by-one. I know—I should have a backup system in place, right? But that still requires the hassle of downloading an app and getting that all that set up, and the best backup utilities require that your phone be rooted. Unlike Windows Phone or iOS, Android doesn’t have a complementary desktop application, so everything you do with your phone or tablet has to be done either on the device itself or from the web. Google could make this all hassle-free if it just allowed users to batch install applications as they needed from the Play Store. It’d be even better if you could individually choose the apps you want installed by default and adjust it from time to time so that the minute you sync a device with your Google account, it downloads those specific apps. Or better yet, allow you to save lists of apps, and download those that you want to the devices you want. I can pick out at least two apps that haven’t been updated in 2011, and one that hasn’t been touched in over two years. I’ve been an Android user for five years now. In that time, I’ve downloaded hundreds of applications, many of which either have been abandoned by their developers or have been ditched for other applications. But when I click on My apps, I still see the dozens of titles I haven’t touched in years. Google should let you curate your app history so that you don’t have to wade through pages of apps you haven’t touched (or haven't been updated) in years. Currently, you can disassociate an individual app from your account in the Google Play app on your mobile device, but there’s no easy way to do so from the browser, or to manage lots of apps at once. 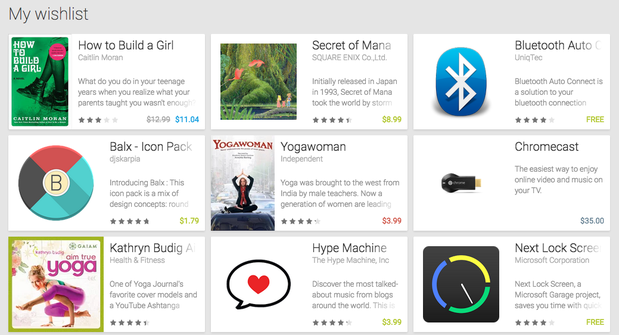 Got any other things you wish Google would tune up in the Google Play Store? Leave a comment, and if we get enough we’ll round them up and share in a separate post.